APEX iDROP further optimizes gaming cash handling – APEX pro gaming a.s.
A further way to better manage the cash-handling process at gaming venues.The iDROP from APEX gaming is the revolutionary cash-handling product for live gaming tables…. 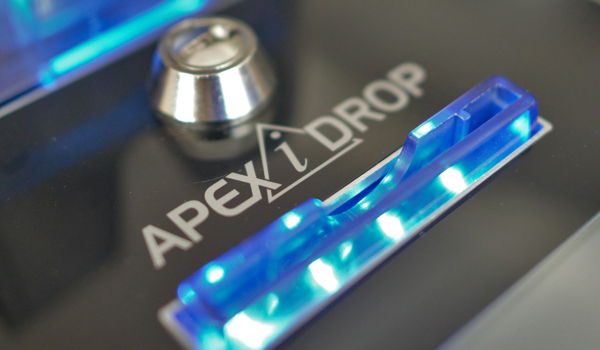 The iDROP from APEX gaming is the revolutionary cash-handling product for live gaming tables. Croupiers can exchange tickets and / or cash for jetons directly at the table. Players no longer need to go to the cash desk to do this. Similarly, the player can cash out jetons for a ticket that can then be used for further play at another table or any of the slot machines. Operators have full control of the drop with real-time information of the contents of each iDROP. The touchscreen menu makes the iDROP simple to use for the croupiers. For example, should the player wish to exchange not the complete amount of the ticket into jetons, then the remaining amount can be returned in ticket form alongside the desired jetons. The iDROP is GLI-20 approved. Casino operators naturally wish to offer the best service possible to their customers. One way to offer added benefits is to implement the iDROP directly at the casino entrance. In this way, customers can directly exchange their cash for a ticket. This is a further step to making the gaming venue fully electronic. This simplifies the drop process for operators as the cash then is placed more in the iDROP at the casino entrance and not in the individual iDROPs at the live tables or in the cash boxes of the individual slots.